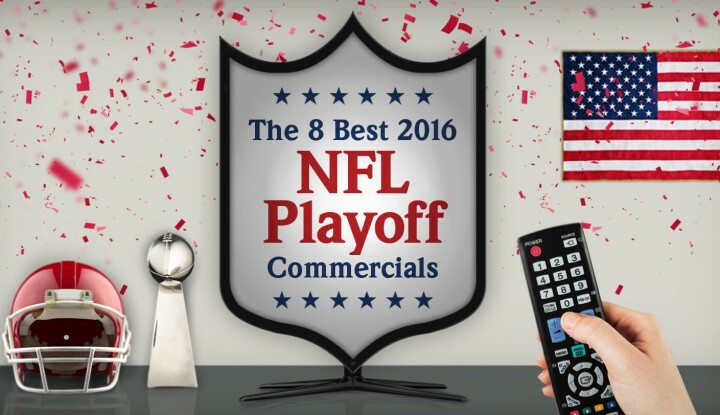 Warming Up For The Big Game: The 8 Best 2016 NFL Playoff Commercials 0 out of 5 based on 0 ratings. 0 user reviews. From the brands that are just warming up for their Super Bowl spots, to the ones that will only make it to the playoffs, check out these 8 unforgettable ads from the 2016 NFL playoffs! Sit back, relax and enjoy the show! (Did we say the show? We meant…the playoffs!) With Super Bowl 2016 less than three weeks away, ’tis the season to grab a Bud (or 6) and spend your weekends binge-watching football! 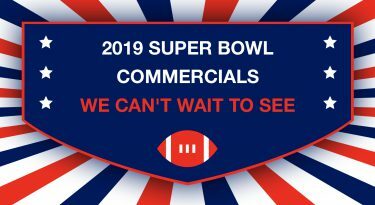 But if watching the best football teams battle it out isn’t enough to get you amped for the Super Bowl on February 7th, then the commercials themselves might be what pushes you over the edge. In the name of research, we’ve been keeping our eyes glued to the screen, particularly between the plays on the field. So without further ado, here’s a look at the best NFL 2016 playoff commercials! If you’re still ordering a glass of wine and a delicate appetizer on a night out around town, Budweiser has a message for you: the playoffs have started and it’s time to #ActLikeIt! Ditch the wine and order that plate of cheesy nachos and a nice cold Bud. The Budweiser Clydesdales are at it again! This old-time classic beer has a friendly reminder: it’s the playoffs, so #ActLikeIt. The commercial shows an average Joe’s encounter with a Clydesdale as he’s about to purchase something that’s not beer. (The gall!) The horse appears next to him and not-so-subtly encourages him to buy beer instead. So the next time you’re out shopping and don’t want to run into this four legged creature, make sure to get some Bud. Could McDonalds’ McPick 2 deal be as big of a deal as buying tickets to Levi’s stadium? Probably not, but it’s definitely cheaper and might taste better. Started prepping for that Super Bowl 2016 party you’re going to throw? Then here’s one game day gadget you won’t want to forget! Capture those party moments with this sharp and clear Galaxy in hand! If you’re ever looking to save a lonely horse, then Amazon has the solution for you! In this ad, the brand shows you how easy it is to purchase anything — even a pet door for your brand new pony. Not looking to adopt a pony to watch the Big Game with you? Well, perhaps you are looking to purchase some Super Bowl gadgets to help you get into the hype. Amazon’s 2016 playoff commercial might not make it the CBS broadcast on February 7th, but it does leave us wondering how a duo ad with rookie PayPal might look. 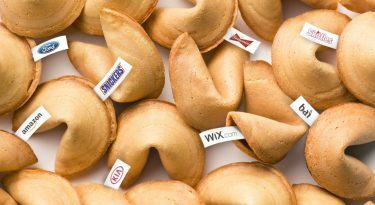 If there’s one brand we are hoping to see on Super Bowl Sunday, it’s Nissan. After seeing their 2016 playoff commercial, we’re starting to think they might be making an unforgettable Super Bowl comeback after their 90-second Super Bowl XLIX appearance. Could they possibly be teasing us and joining these other car companies for some air time? We’ll just have to wait and see…. It wouldn’t be the playoffs without a Bose music system in place and with this Super Bowl 2016 playoff commercial featuring Russell Wilson and Macklemore, we’re already waiting to get the party started with our very own set of wireless headphones! In addition to his appearance in Bose’s playoff ad, American rapper Macklemore partnered up with website builder and Super Bowl advertiser, Wix.com for the launch of their Wix Music 2.0, a solution for “musicians and the online music industry.” Check out Macklemore’s awesome promo for the launch of Wix Music last fall! All these 2016 playoff ads making you even more antsy for Super Bowl 2016? 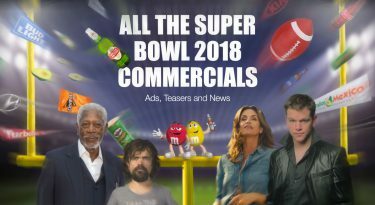 If you really want to get into the Game Day spirit, start off with chugging a few bottles of Bud Light and then take this Super Bowl commercials quiz to find out what one little Super Bowl commercial can tell you about your personality.